198 pages | 18 B/W Illus. Thousands of people in dozens of countries took to the streets when world food prices spiked in 2008 and 2011. What does the persistence of popular mobilization around food tell us about the politics of subsistence in an era of integrated food markets and universal human rights? This book interrogates this period of historical rupture in the global system of subsistence, getting behind the headlines and inside the politics of food for people on low incomes. The half decade of 2007–2012 was a period of intensely volatile food prices as well as unusual levels of popular mobilization, including protests and riots. Detailed case studies are included here from Bangladesh, Cameroon, India, Kenya and Mozambique. 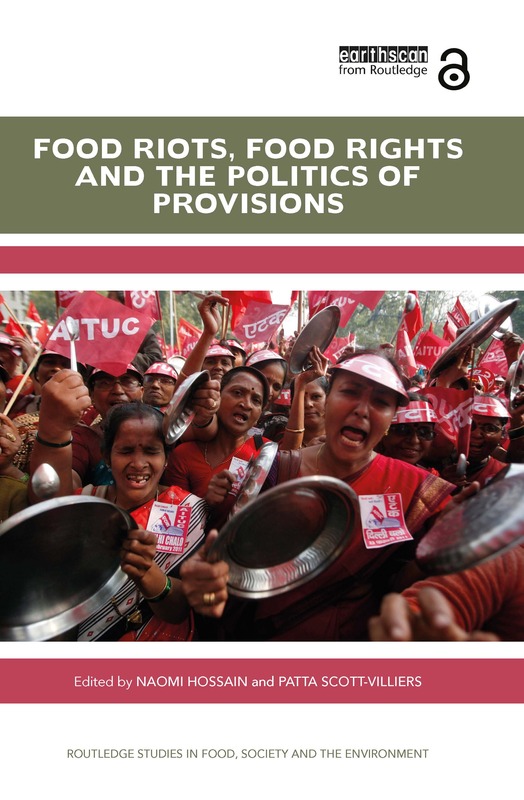 The case studies illustrate that political cultures and ways of organizing around food share much across geography and history, indicating common characteristics of the popular politics of provisions under capitalism. However, all politics are ultimately local, and it is demonstrated how the historic fallout of a subsistence crisis depends ultimately on how the actors and institutions articulate, negotiate and reassert their specific claims within the peculiarities of each policy. A key conclusion of the book is that the politics of provisions remain essential to the right to food and that they involve unruliness. In other words, food riots work. The book explains how and why they continue to do so even in the globalized food system of the 21st century. Food riots signal a state unable to meet a principal condition of its social contract, and create powerful pressure to address that most fundamental of failings. Naomi Hossain is a political sociologist at the Institute of Development Studies at the University of Sussex, UK. Her most recent book is The Aid Lab: Understanding Bangladesh’s Unexpected Success (Oxford University Press, 2017). Patta Scott-Villiers is a political sociologist and convenes the Power and Popular Politics Cluster at the Institute of Development Studies at the University of Sussex, UK. She is lead author of Precarious Lives: Food Work and Care after the Global Food Crisis (Institute of Development Studies, 2016).